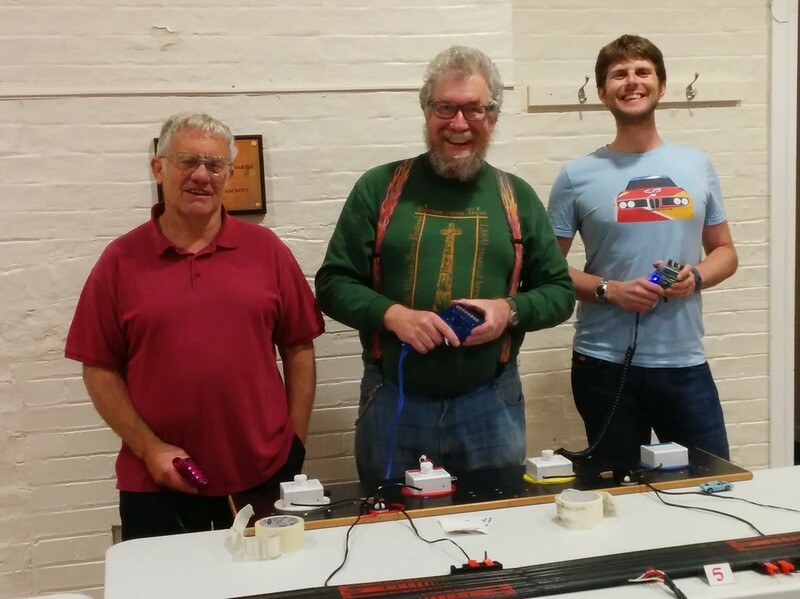 A damp and cold June evening saw five racers take to Al’s latest track with Roy making a welcome return to the grid for the first time since moving to Derby. 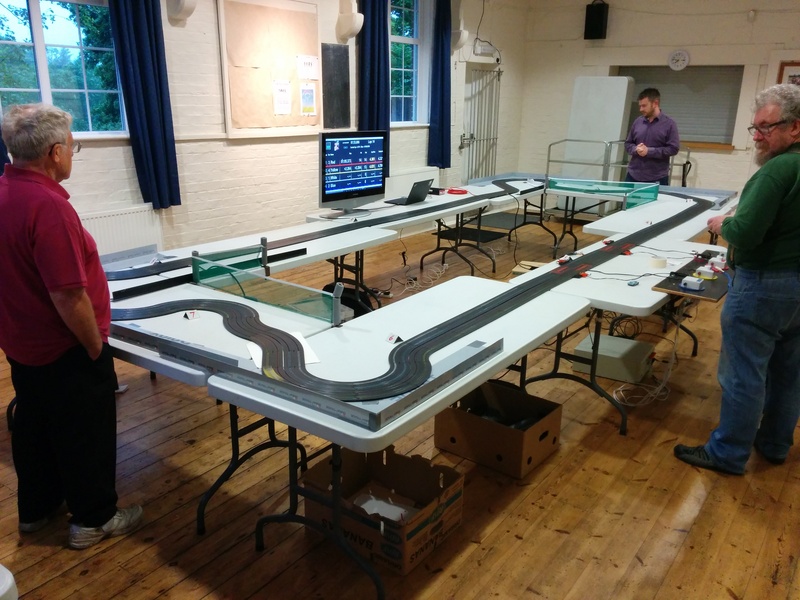 The track was relatively short but with an interesting mix of corners and a pretty good balance across the lanes. 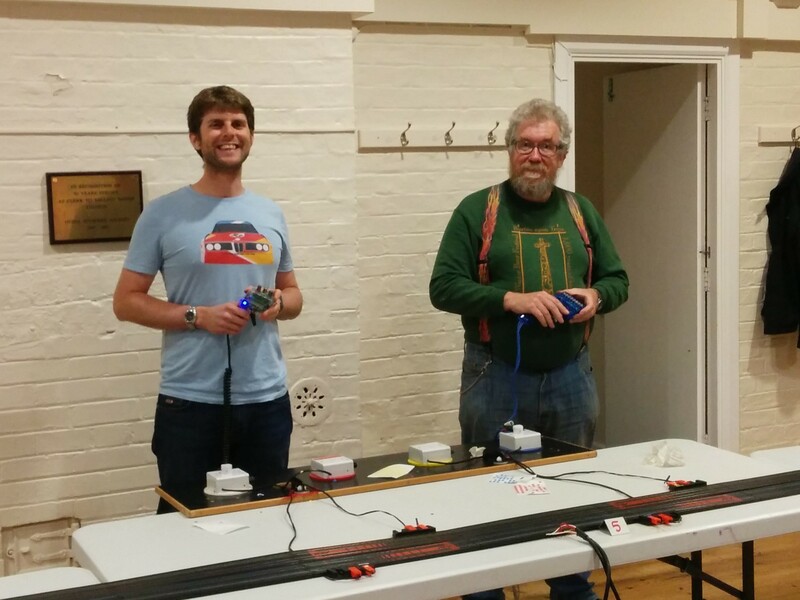 With particularly large scores in red and yellow, Paul took his fourth straight Micro Scalextric pole position. Nick in second was 1.7 laps behind Paul and 1.6 laps ahead of Al. Roy took the fourth grid slot ahead of Tony. Al in yellow massively jumped the start of the B Final and after a pause Tony in white followed him. This left Roy in red with a nice lead but he soon found Al chasing him down. Before Al could catch Roy, Roy came off and handed Al the lead. Al might then have thought he had the race in the bag but behind him Tony had settled into his groove and was pounding around the track much faster than his fellow drivers. Inevitably Tony caught and passed Al and while Al upped his pace to try and keep up, he binned it after a few laps and had to settle for second. Tony duly won the race with 38.6 laps from Al and Roy. Paul in yellow was the early leader of the A Final but with Tony in white hot on his heels. Paul was the first to come off leaving Tony with the lead until he too crashed. The lead changed hands a couple more times until a couple of offs for Tony put Nick in red up to second. Paul then settled down and went on to take the win with 39.1 laps from Nick and Tony. With Tony heading home after the first class, four racers were left for Super F1. 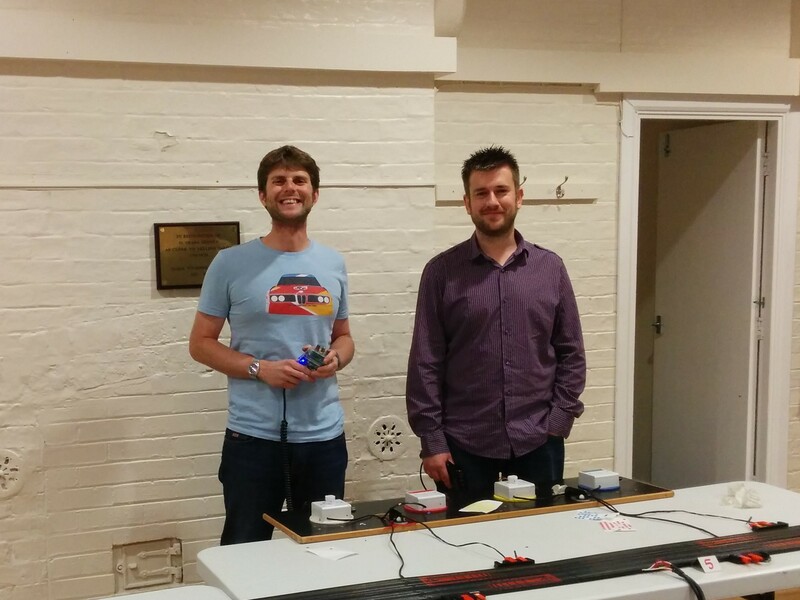 Nick and his SRT powered to pole 1.5 laps clear of Roy who was mainly using his SRT names Son of Red Peril. 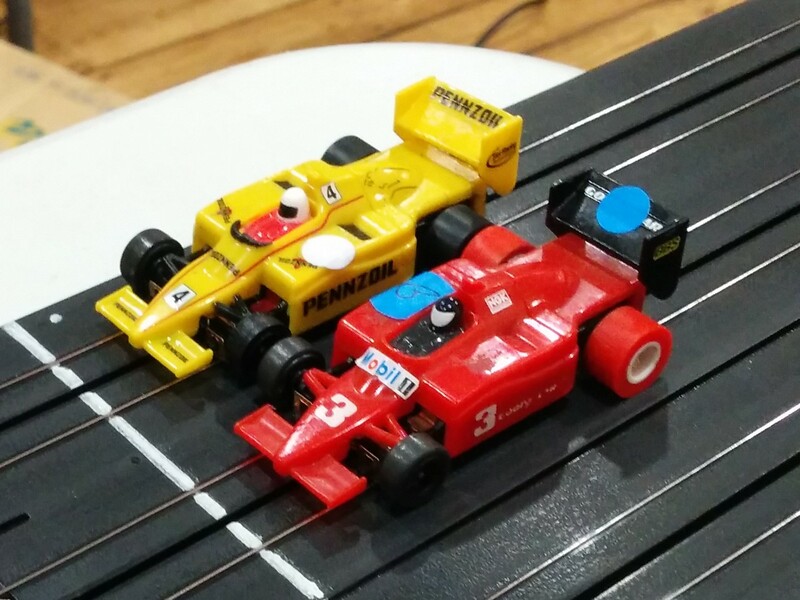 Despite the Red Peril itself making an appearance in one heat Roy had to settle for the second grid spot. Al looked a little out of sorts with his SRT and was someway off the pace in third. Paul was still struggling with his Mega G and he completed the grid. 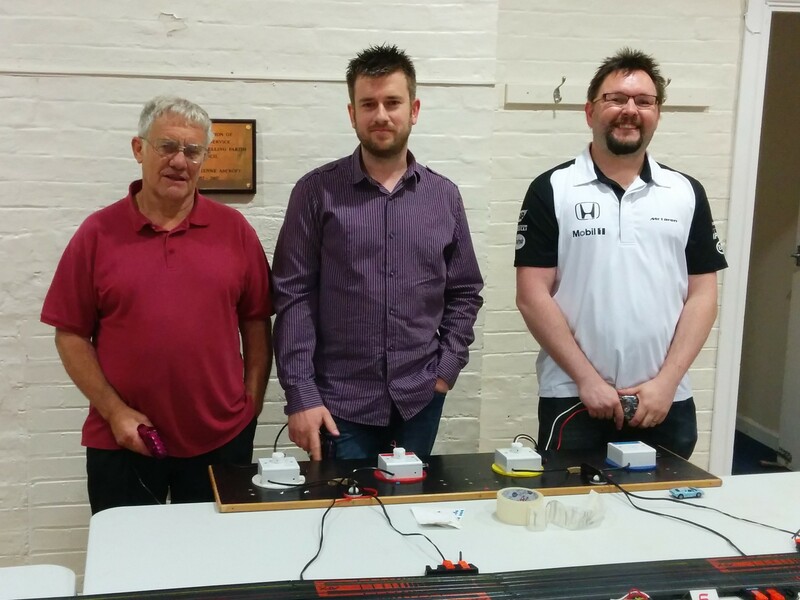 With Paul’s Mega G lacking top end speed, Al took a pretty easy win from the white lane. 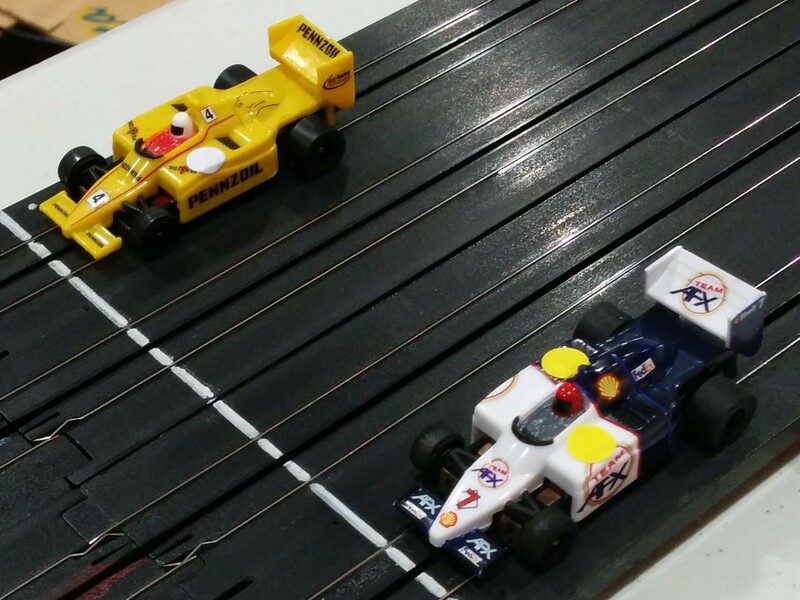 The B Final was closer, but Al (again in white) seemed to have the measure of Roy and his car and Al took the win by 2.1 laps. 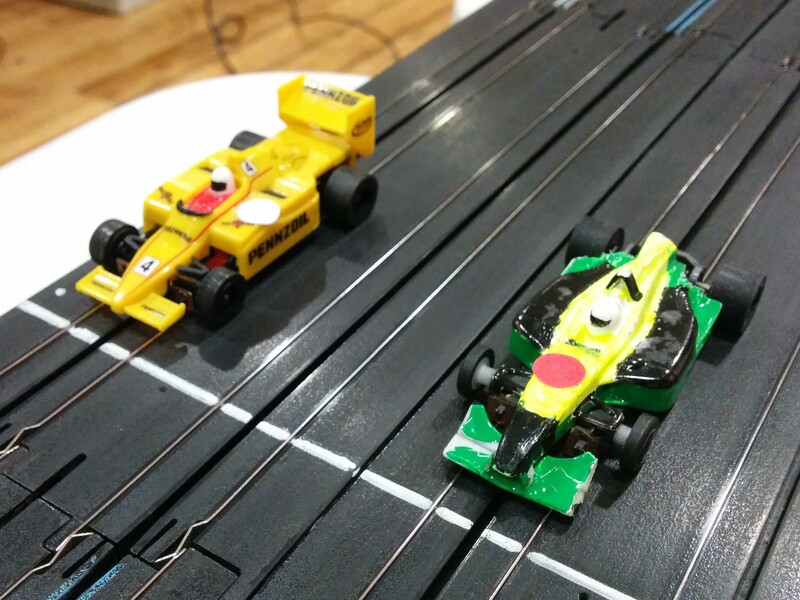 Al (once again in white) gave Nick in yellow a short run for his money over the first 8 laps of the A final. With initially very little separating them, it was a shame that Al binned it and handed Nick a fairly straightforward win. 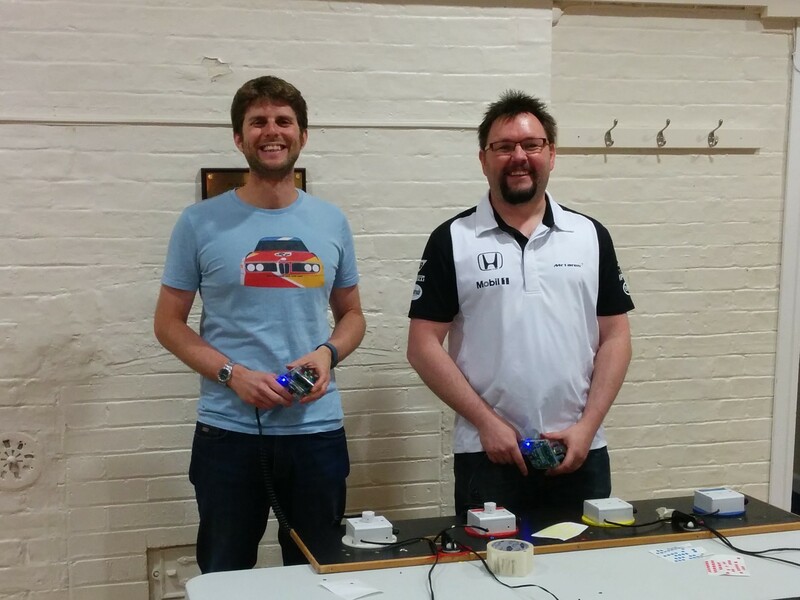 Nick didn’t seem too bothered though with the reigning Super F1 Champion taking his first class win of the season. Thanks to all who attended! 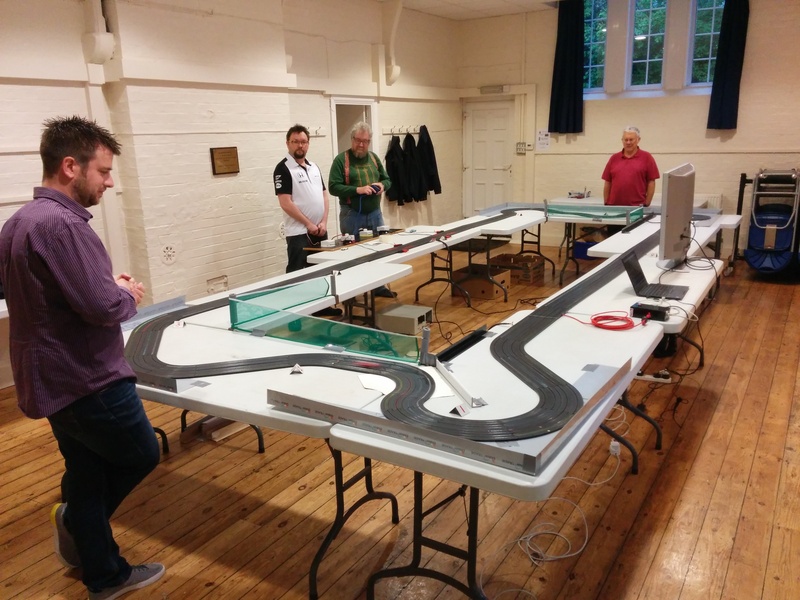 Join us on July 6th for Round 4 of our F1 and Modified Championships.